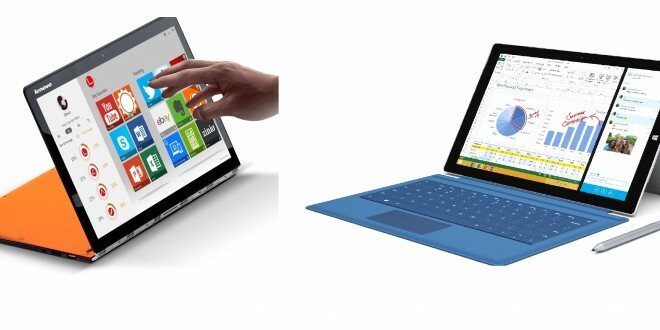 "Performance-wise, the Surface Pro 3 generally tops the Lenovo Yoga 3 Pro according to most user reviews and benchmarks. The Surface line has been known to be extra-powerful, so we’re not surprised by that. You do have to pay the extra price, though. In case you need a high-end device with top-notch specs, the Surface Pro 3 should be your best bet. But if you want a powerful device that gives you all the mobility of a tablet, the Lenovo Yoga 3 Pro would be the better choice. I personally love the watch hinge on the Lenovo Yoga 3 Pro and would rather spend less on a fanless design with a pretty good performance, but that’s because I don’t use apps like Photoshop or video editing apps which need all the power the Surface Pro 3 can give."